A 2015 California law requires hens to have a certain amount of space for egg laying. 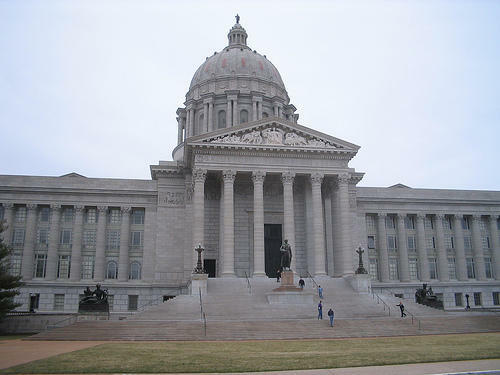 Missouri says that's unfair to out-of-state farmers and violates two federal laws. Thirteen states filed a lawsuit Monday with the U.S. Supreme Court challenging a California law that requires farmers to give egg-laying hens more space. The lawsuit, filed by Missouri Attorney General Josh Hawley, claims the 2015 California egg law is a violation of two federal laws. One prohibits state laws from discriminating against citizens of other states and another bans one state from imposing its farming regulations on other states. Hawley commissioned an economic analysis that he says shows California’s law costs out-of-state farmers and consumers millions. Hawley filed a similar lawsuit that was denied in 2016. The court said the states didn’t have standing. 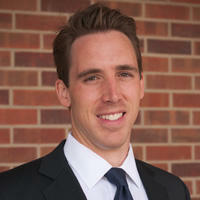 Hawley hopes the economic report pads the case this time. Several new states have also joined Missouri’s latest lawsuit. Those listed as plaintiffs include Arkansas, Alabama, Indiana, Iowa, Louisiana, Nebraska, Nevada, North Dakota, Oklahoma, Texas, Utah and Wisconsin. Hawley, a Republican, is trying to unseat the vulnerable Democratic Sen. Claire McCaskill next year. President Donald Trump recently endorsed Hawley on a trip to Missouri. Four former Republican U.S. senators from Missouri are urging Attorney General Josh Hawley to run for Senate. Former Sens. John Ashcroft, Kit Bond, John Danforth and Jim Talent asked Hawley to enter the race in a public letter dated Thursday. Political novice Josh Hawley has toppled Missouri state Sen. Kurt Schaefer in the hotly contested Republican primary race for attorney general. Missouri Attorney General Josh Hawley has appointed a St. Louis attorney to investigate claims that Hawley's predecessor withheld evidence in a lawsuit over the fatal shooting of a black man by a white police officer. Hawley, a Republican, on Thursday appointed Hal Goldsmith to investigate. The family of Anthony Lamar Smith has alleged in a letter to Hawley's office that former Attorney General Chris Koster, a Democrat, and that the city of St. Louis withheld evidence in a civil suit over Smith's death at the hands of officer Jason Stockley in 2011.